ESCO Ltd. adopted the Quartz-Guided Infrared Heater from Thermo Riko in their high performance TDS system for the critical industrical analysis requirements. 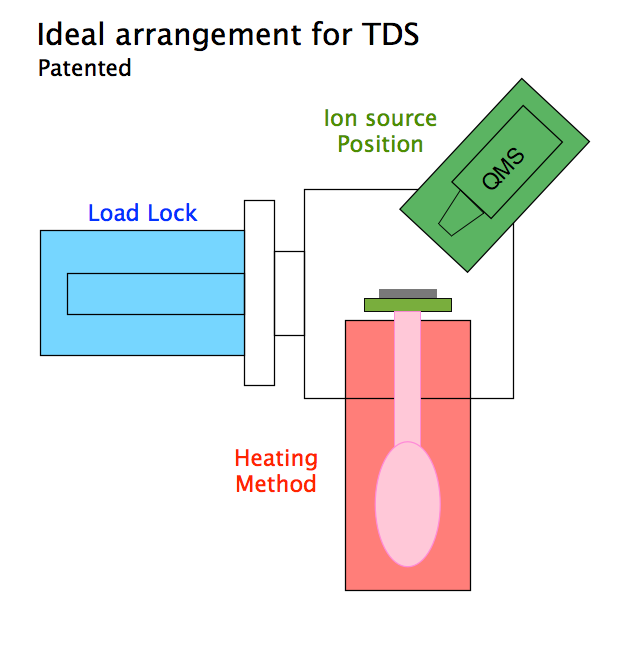 TDS1200Ⅱ is a high performance Temperature Programed Thermal Desorption Analysis system, which uses Quartz-Guided Infrared Heater and a Quadrupole Mass Spectrometer to analyse chemical components from a sample in real time. Not only quantify and identify the absorbed or binded chemical components but also the binded states, chemical reaction stages and the other detailed information can be analysed. Furthermore, this system can obtain the information of the absorbed or binded components from the surface as well as in-depth from your sample. 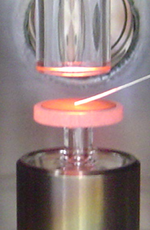 The Quartz-Guided Infrared Heater only heat up the sample. That means no outgassing from any other parts in the analysis chamber and detected species are only from the sample while analysing. 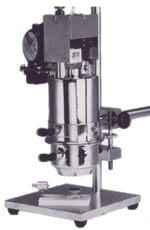 This system doesn't increase the background species or pressure without a sample while heating. 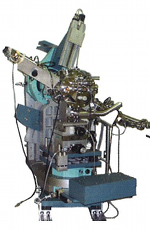 Ion source for the Quadrupole mass spectrometer is located right above the sample region. 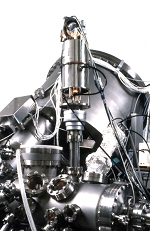 That enables desorbed molecules or atoms will be directly ionized by the ion source. 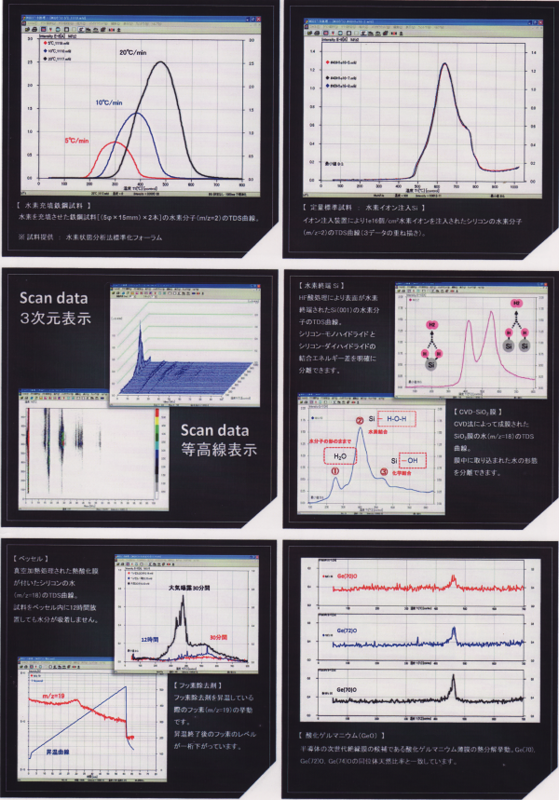 When the ion source is located far from the sample and when molecules or atoms can colide on the other surfaces before ionised by the ion source, that will cause less sensitive detections. Sophisticated data aquisition and date processing software allows easy visualising of your complicated data. Load Lock chamber gives efficient to maintain the analysis chamber clean and reduces the high throughput of your analysis routine work. 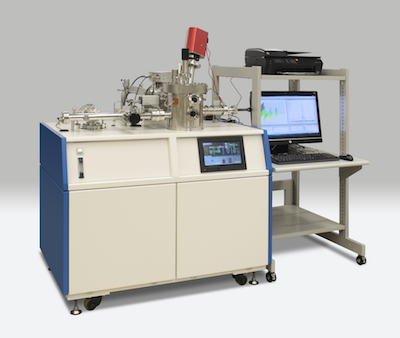 Quantitative Calibration Method (Patented) with Ion implanted Silicon sample allows 10e-13~10e-7 mol calibration for the high resolution analysis capability. Sample transfer without a sample holder means there is no sample holder while heating the sample in the analysis chamber. This eliminate the chance of outgassing from the sample holder.